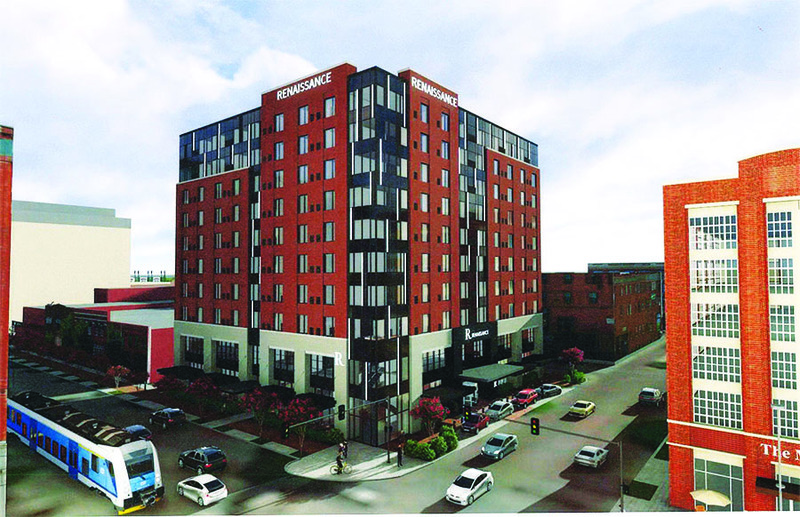 Plans have been submitted for a 10-story Marriott Renaissance hotel at the southeast corner of Sheridan & Oklahoma in the heart of Bricktown. 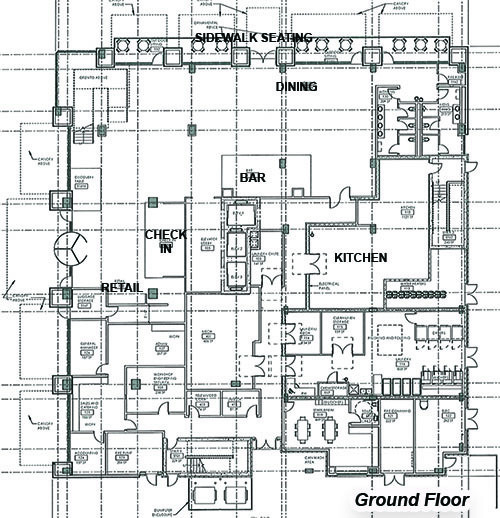 The hotel is proposed with 182 guest rooms and 120,714 square feet. 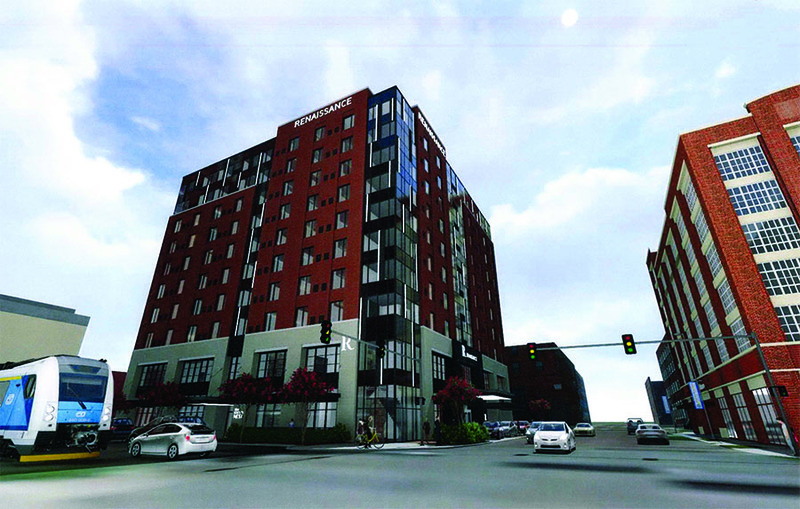 Tulsa hotelier Andy Patel bought the .4177 acres for $2 million in 2014 and originally proposed a Canopy hotel before the Hilton brand decided on a location in east Bricktown instead. ADG is the architect and the Bricktown Urban Design Committee will review the design in their March meeting. Don Karchmer has also proposed a large parking structure directly to the west, which almost certainly would be required in order to accommodate hotel guests. You can see the proposed garage to the right in the renderings. From what you're hearing, will this officially spearhead movement on the parking garage project? Kind of thought plans would've been submitted at or around the same time as the hotel since the added parking will be needed. Had also heard that the plans were going to be downsized somewhat (watered down), hope that's not the case. Either way, hotel looks solid! Yes, I believe the garage will now start to move forwards as well. 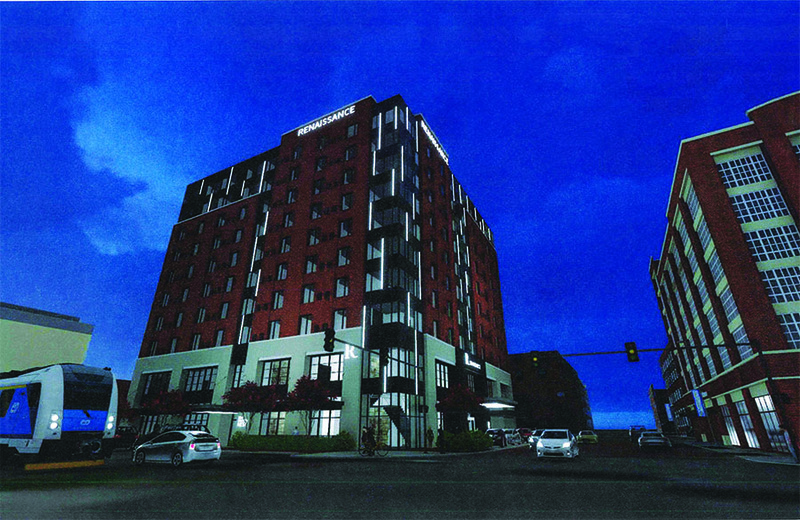 BTW, this will likely be a full-service hotel as opposed to all the others in Bricktown which are limited service. And, I believe the existing Marriott Renaissance in the CBD is going to lose it's flag and/or be switched to something else. Side question: Limited service vs Full Service? I wonder if this means Karchmer will build his BT garage like originally planned with the 16000+ sq ft of retail, or if that will go to the wayside. Generally speaking full service hotels have full restaurants and bars (not just breakfast buffets and snacks), often larger spas and/or work-out facilities, a concierge, etc. Looks great! I especially like that it doesn't have the overplayed, unvaried strip of EIFS at the top. Thank goodness for glass instead of EIFS. Will the CBD Renaissance become a different brand? I hope this design is the one that gets built. It would be a fantastic addition to that corner. I believe the developer is ready to go and I'm sure the design will meet approval outside of small adjustments. 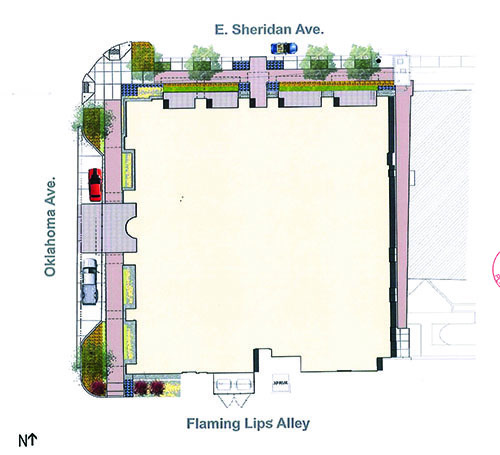 That, plus the Karchmer garage on the large vacant lot to the west and everything that is happening in East Bricktown means that Sheridan will become a pretty dense corridor all through Bricktown. Yep. If this is built along with the garage and if the cummins bldg ever gets built, plus Steelyard and AC Hotel, Sheridan Ave will be almost entirely filled in. really adds the density needed desperately in that area. Love it!.. looks fantastic. I love it! As KayneMo stated, it's so nice to see a proposal without the EIFS at the top. And the glass is a nice, different touch. Just fantastic and will really change the feel right there. I hope this goes up as rendered, because it looks simply fantastic. And speaking of the rendering, notice that streetcar in it. No way the route wasn't part of the calculus for this development. The owners are looking at an upscale Westin after a complete remodel in 2018-19. I think this is a beautiful rendering and hope it doesn't have to be redone a bunch like the AC. The location is probably my favorite in Bricktown because it's just so damn close to the canal. Only bummer will be traffic on that corner is already bad on the weekend nights, this will probably make it crazier. So would we have two Renaissance hotels within three blocks of each other? How does that work? The older one will be re-branded. I love how the rendering shows the Streetcar in it. I too hope this project gets built as shown here... That design is gorgeous while still fitting into the character of the district, imo. I hope that the BUDC doesn't give them a lot of hassle like they did for the AC Hotel. I noticed on the rendering showing the garage it has what looks like the beginning text of "The M..." I can only assume this could be Melting Pot, therefore - maybe they have shown interest in moving to brand new space in the parking garage once built?